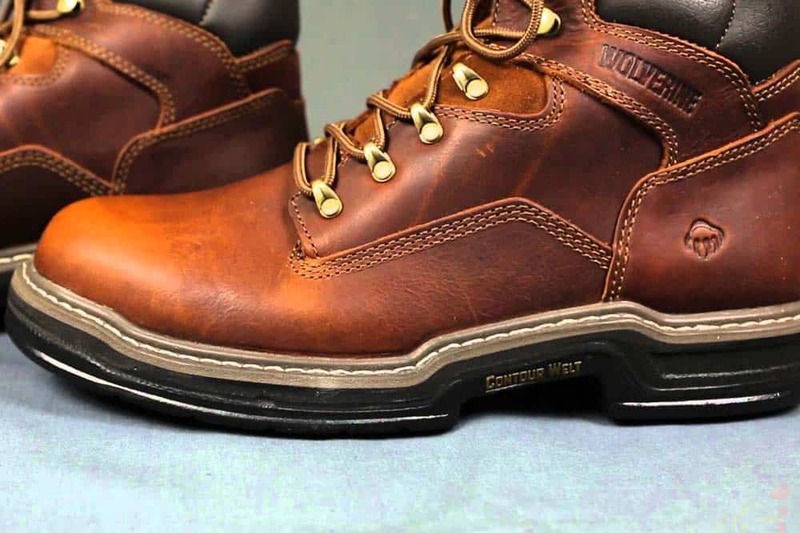 Work boots are divided into multiple brands and boot types, but one of the top brands remain the Wolverine brand with their top quality boots. Both the buccaneer and the raider are some of the best they have to offer, but they both have a different set of fans, but will ultimately help you to get the job done when in use. Wolverine can be considered one of the most trustworthy manufacturers of boots and they have been in the industry for around 130 years. This gives them great credibility and many people still choose their boots as their go-to when it comes to quality and design. We have had the opportunity to test out both of these boots and while they are both top quality, you might be stuck thinking which one is the best for you and will meet your needs and purposes. This is where we come in and we have tested them both to find out which one is the best and which of the features will be ideal for your specific style of work. Read on to find out which of them will be the best fit for you and your current job! Both of these boots have been designed with top quality leather as the base and while they are similar in terms of this, they do have some differences when it comes to the leather. The Raider is a little more rugged and tough and this will make it one of the best options if you are looking for durability, while the Buccaneer is made from softer leather that makes them a little more comfortable and easier to break in. In terms of overall durability, both of them have a great reputation and will stand out from the crowd. The Raider is a little better and after it has been stretched out, you should find it comfortable and have somewhat of a longer lifetime when using it. The comfort levels on both of these boots are quite impressive. Both will take some time to break in, but the Buccaneer tends to be the best when you need a boot ready quickly. It should not take you more than one day to break in the buccaneer, but at first, it will still be a little uncomfortable and might leave you with sore feet by the end of the day. The Raider, on the other hand, will also offer decent comfort and it has been fitted with gel cushioning on the inside. The raider also features multiple pressure pads throughout the boot and this also includes the heal area to ensure the maximum amount of comfort you might need. With the lack of a steel toe, the Buccaneer is also much lighter for those long days. 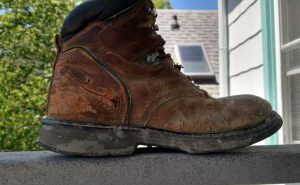 Both of these boots can be found with or without a steel toe. However, adding one will increase the weight quite significantly and it will also add to the price. 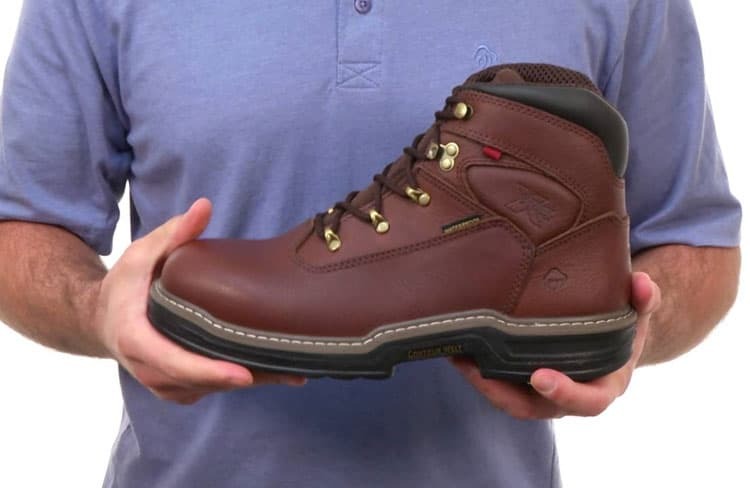 One thing we can agree on when it comes to safety boots is that a safety toe is certainly an important aspect that needs to be added for the best protection and to meet ANSI standards. Unfortunately, none of these boots are resistant to electrical hazards and this could reduce the amount of versatility you have with each boot. Fortunately, they both have perfect insulation and this is ideal for cold weather jobs and they are also both waterproof, giving you the ability to trek through the water as well. Once again, these boots match one another closely and they have large lug outer soles with unique patterns that will enable them to be slip resistant anywhere you need to go. The boots have both been tested on oily and water surfaces, but they are not the best for trekking through the ice. 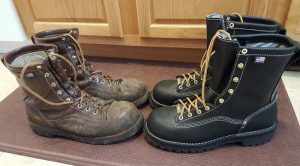 Both of these shoes can be used in construction, but when comparing them to something with the features you would find in some of the KEEN boots, you will see that they do lack some features that could have been useful. The Buccaneer is the more expensive of the two and it is also the most comfortable of the two. It might be a little more expensive than the Raider, but you will definitely get the best value for your money. The raider is the perfect boot for those looking for something cheaper and affordable. It does not have all the features you will see in the buccaneer and the style seems to be a little off as well. When choosing between these two, the pricing should not play such a significant role and you will need to focus on the features and the quality. 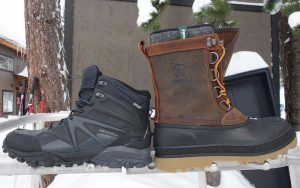 Choosing between these two turns out to be rather tough and when comparing the prices to the features of each boot, you will see that they both offer great value for the money. We would recommend both of them to anyone looking for work boots, but if you have the budget to buy the buccaneer, this would certainly be the number one choice to stick with. We would like to thank you for reading this article and we would also like to encourage you to share some of your thoughts on these boots. Please also let us know in the comment section which one of them you would choose and if you have any more comparisons you would like to see.